This entry was posted in Funny pictures and tagged cat, cats, christmas, christmas cat, cute, diy, funny, funny cat, funny cats, funny cats gif, funny cats gifs, funny cats pictures, funny gif, gift, hilarious, humor, humour by Kitty Bloger. Bookmark the permalink. LOOKS LIKE OUR FAMILY’S OLD TOBERMORY…WHO WOULD ALMOST ALLOW YOU TO DO THE SAME THING!!!! 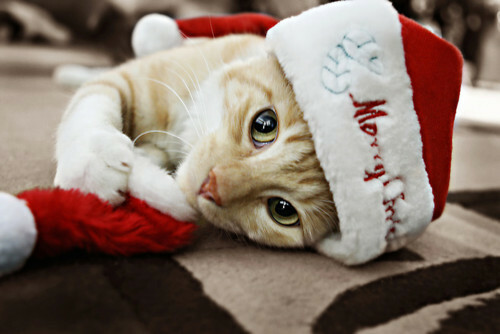 But don’t forget a cat is for life not just for Christmas! Thanks for re blogging this 🙂 Do you think it would work with Scooby Doo? I have nominated you fur the WordPress Family Award!